My newest safari offering 'Namibia on the Wild Side' is a 14 days photographic trip to Namibia. I will show you to some of the most photogenic locations in an incredible beautiful country. Our itinerary is planned around the highlights of the Namib Desert and the Atlantic Coast. We included a mixture of well-known and famous location like the ancient Quiver Tree Forest, eerie Kolmanskop or the world famous sand dunes of Sossusvlei and lesser known gems in the Namib Desert. We will photograph orange-red dunes, endless desert sceneries, uniquely shaped trees, spectacular rock formations just to mention a few highlights on the landscape side. The wildlife side is no less stunning. Some of the main attractions are colourful flamingos, amusing seals, sand diving lizards or antelopes in an ocean of sand. And not to forget Namibia is the ideal place for night photography. In the Namib Desert we have plenty of time to photograph the amazing night skies with its myriads of stars. 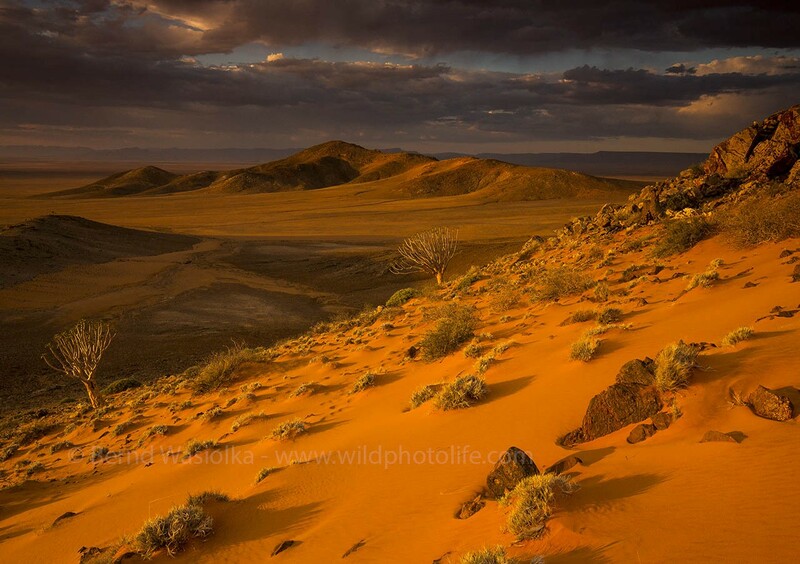 Spectacular landscapes and amazing wildlife make Namibia a photographer’s dream. Come and join us on a memorable trip, enjoy fantastic photographic opportunities, take great images, experience a fun-filled time and make new friends. I’m looking forward to welcome you one day on one of my photographic safaris.